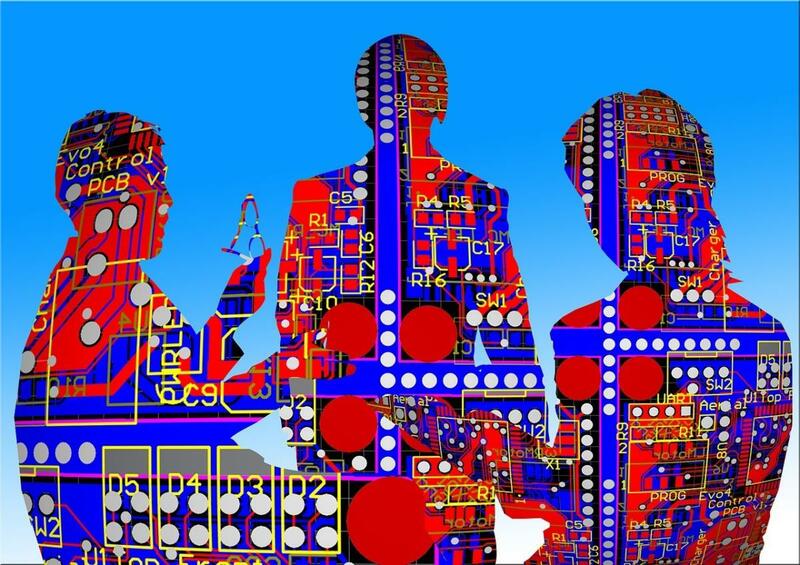 Building the predictive enterprise: What CIOs should tell CEOs about A.I. Should your next big hire be a chief A.I. officer? Fill this critical role to put your company in a position to harness the potential for machine learning to drive growth for the next decade. Artificial intelligence has wide-reaching implications across all aspects of the business, and now some leaders in the field advocate for this technology to be represented in the C-suite by a chief artificial intelligence officer (CAIO). Andrew Ng, a renowned A.I. researcher and thought leader, recently made that argument in Harvard Business Review article titled “Hiring Your First Chief A.I. Officer.” Summarizing his case, Ng wrote, “The benefit of a chief A.I. officer is having someone who can make sure A.I. gets applied across silos.” Since every aspect of a business involves the collection and use of data for competitive advantage, a CAIO could look across an organization and assess how different business units can work together to create new competitive advantages. Matthew Buskell, head of sales and business development at Rainbird Technologies, makes a similar case about the cross-functional impact of A.I. in a post on the Rainbird blog titled "Should There be a Chief Artificial Intelligence Officer?" He argues that A.I. not only “presents opportunities in strategic innovation like digital transformation and Industry 4.0” but also “dramatically impacts process improvement projects found across the business.” Buskell says the CAIO role can't be simply an extension of the CIO's job, since CIOs are more concerned with the bottom line and delivery of IT services. Identifying opportunities internally to improve our customer experience across our products and solutions with machine learning. Evangelizing our A.I.-first approach to clients, cultivating new business partnerships within our machine learning initiatives. Reducing capital expenditures throughout the business by locating cost centers and minimizing their impact with machine learning. Building a cohesive data strategy that lacks silos and enables deep learning technologies to create new competitive insights. Locating/acquiring and cultivating strong data science and A.I.-specialized talent in the industry. Experience leading major strategic, cross-functional initiatives within large organizations. Ability to attract and grow talent internally and externally within a company. Established success with implementing emerging technologies into solutions shipped to customers. Direct understanding of the machine learning landscape, including experience delivering capabilities that leverage deep learning technologies. Strong technical expertise within a data science, cloud computing or other technology-centric role. Experience delivering cloud-based solutions at scale. Understanding of security and compliance constraints is a plus. The CAIO should have vast experience with several technologies across multiple job functions. 5-10 years of experience in the machine learning field, working with or building A.I.-based products/platforms/solutions. 5-10 years of experience with cloud computing technologies, including both public or private clouds. 5-10 years of experience working in a product-oriented role, where data-driven decisions are standard practice. Extensive background in IT disciplines, working with a wide variety of tools and solutions. Contribution to open-source projects a plus. Research or academic contributions in the artificial intelligence community a plus, particularly within labs with demonstrated leadership in the space. Experience as both a startup entrepreneur and working within a large organization. While CAIOs could play an important role in organizations for the next few years, the long-term viability of such an office will depend on continued, sustained innovation in the field. With the increased activity in A.I., a separate role focused on making sense of the rapid change in machine learning capabilities has merit. A majority of the CAIO’s time would require having a pulse on the discipline and uncovering opportunities to exploit advances in the field within your organization. After a few ML-focused innovations have been fully researched, implemented and delivered, the CAIO's role could expand to that of overall evangelist for the company, and the individual could work with clients to ensure their success with your new capabilities. Anticipating even more advancement in the A.I. field, CAIOs will have enough work on their hands for to provide at least a decade’s worth of value to their organizations. In the long term, as A.I. becomes a mainstream part of any business, the role might be subsumed into the CTO function, whose primary role is to ensure the continued evolution of technology as it relates to the advancement of a business. CTOs of the future will need to have an understanding of machine learning as a minimal job requirement, but today’s CTOs are already juggling a lot of responsibilities, so creating a separate job for a CAIO is warranted. Tarun Gangwani is an award-winning product and design professional with interests in artificial intelligence, cloud computing and enterprise applications. As the head of product at Grok, a cloud analytics and automation platform that detects anomalies within infrastructure and applications using machine intelligence, Tarun’s current mission is to deliver compelling user experiences for businesses managing their cloud workloads.